Go back just a few decades and you would see widespread bigotry in the media. Back before political correctness kicked in – it’s shocking to see the kind of thing they were able to get away with. There are so many racist films from the early days of Hollywood. I mean, the early days of Hollywood are arguably where most racial stereotypes were cultivated. First of all, most ethnic characters were played by white actors in black or yellow face, and with horribly racist attempts at mimicking their accents too. Even the names of racist films can be shocking. Perhaps the most startling is “The yellow man and the girl.” In films like this, east-Asians were presented as figures not to be trusted. They weren’t presented as outright evil, but sly and deceitful. Charlie Chan In Egypt just might be the perfect example of racist cinema. This is mostly because Charlie Chan is the most depressingly racist character of all time. This was a time when racist films showed only 2 specific types of Asian people. This is now known as the “good Asian/bad Asian stereotype.” As the name suggests, they were either presented as good natured idiots or deceitful criminals. The man who plays Charlie Chan wasn’t even Asian, and he did the most racist fake Asian accent ever. Being set in Egypt, there are many opportunities for the director to demonstrate their racism by have white people play Arabs. The Arabians didn’t have any more realistic accents than Charlie Chan. Also known as Broken Blossoms, The Yellow Man and the Girl is racist from the get-go. Which is to be expected with a name like that. Set in London, it tells the story of a young girl who makes friends with a man from China. Because of the decade this was produced in, it presents the Chinese man as sly and not trustworthy. He moved to England to convert people to Buddhism. But it didn’t quite turn out as he had first expected. The film basically ends with all the characters killing each other. I guess this is the bad Asian stereotype at work. Fairly standard for racist films of it’s era. The Jazz Singer is a film most famous for it’s use of black face. The film follows the story of a young Jewish man who follows his dreams of making a career out of performing Jazz. He runs away from home to gain experience as a singer. Now that doesn’t sound like the other racist films on this list. But you have to remember that this was the 1920s. 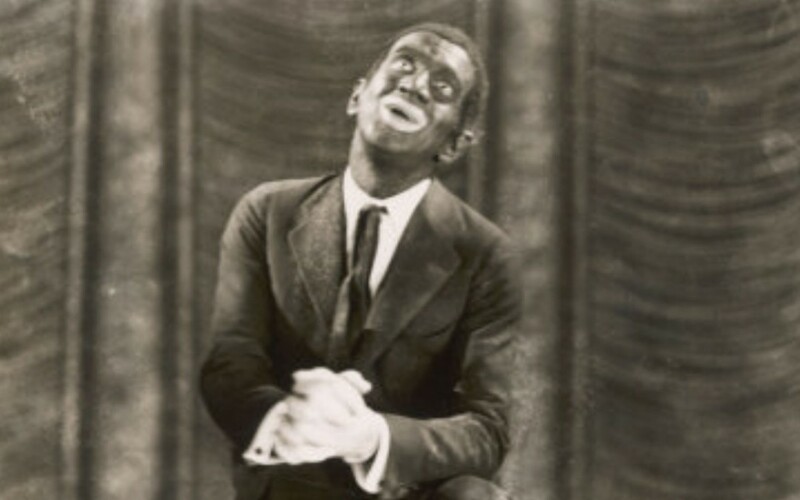 And in the 1920s it was a custom for theatre performers to wear black face while doing their set. And that kind of thing isn’t exactly considered to be politically correct from out modern perspective. The Sheik tells the story of a powerful Arab sheik who kidnaps a British woman after he falls in love with her. Like so many racist films, it shows middle-easterners as evil and outlandish. Europeans are shown to be gentle and morally pure, on the other hand. After kidnapping the white woman and taking her away to his desert palace, he forces her to marry him and adopt his culture. At first she is horrified by this – but she ends up falling completely in love with him. The film was a huge hit and was based on an equally popular novel. The Forbidden City is yet another film that is offensive to Asians. I wonder why so many of the old racist films are focused on Asian culture. This particular film makes a complete mockery of Chinese society. The plot focuses on an interracial relationship involving an American man and a Chinese princess. The couple get married in secret at a time when Chinese royals could only marry other Chinese people. So the Emperor doesn’t know she is married to a foreigner. And he certainly didn’t know she was pregnant with his child. When he finds out… all hell breaks loose. The Chinese characters weren’t played by Chinese people. They weren’t even played by Asians! The Son of the Sheik is the sequel to The Sheik. To be honest, I think The Sheik isn’t worthy of a sequel. It was bloody terrible. The sequel follows the story of the child of the Sheik who appeared in the first film. He falls in love with a lower-class woman and the two get along well until he is tricked into thinking she slept with another man. This wasn’t true, but he certainly believed it. And when he heard the news of it he went completely mental in his quest for revenge. The weird thing is that the son is played by the same actor who played his father. It’s the return of Charlie Chan! This time he is sent to the Berlin Olympics to solve a crime. Charlie Chan is considered to be one of the most controversial characters of old racist films on his own. But if you send Charlie Chan to Nazi Germany… only bad things can happen. This was the fourteenth Charlie Chan film so I guess the character was really popular for some reason. Charlie is joined on his journey by his sons Charlie Chan Jr. and Lee Chan. If one Chan wasn’t racist enough – imagine 3 of them! It would be a nightmare. Chandu on the Magic Island is possibly number one on the list of bizarre racist films. The film features a white man who has spent much of his life in Asia learning their mystical ways. After years of studying the orient, he is now a magician who goes by the name Chandu. He uses his magic for good, when he good do just the opposite. He is deeply in love with an Egyptian princess who is captured and taken to an island. The island is occupied by a strange cult who wish to sacrifice the princess. It’s up to Chandu to save her. The film depicts the native islanders as complete savages, which is never good. It also shows Eastern culture to be mystical and dramatic through the actions of Chandu. The Thief Of Bagdad is one of those racist films that people feel inclined to like. To be honest I’m inclined to not call it racist, but several Arabs have told me it definitely is. They say it presents a whole host of inaccurate stereotypes. It follows the story of Ahmed, a young thief who falls in love with a princess. To his dismay there is another man in love with her. The other man is an incredibly powerful warlord. The two men aggressively compete for here love. As you’d expect, the story features magic, warfare, and flying carpets. The Birth of a Nation just had to be number one on this list. It’s set just after the American civil war, in the Southern states of America. The states are ruled by the recently free slaves, who didn’t do a good job. Under their control the south swiftly fell into a violent state of absolute anarchy, with whites being slaughtered. This is racist for obvious reasons. Not only does it seem to imply that black people are savages – it also implies that white people have an obligation to enslave them. It’s basically putting forward the idea that slavery shouldn’t have been abolished.